Minelab CTX 3030 Review - The King Of Metal Detectors? Thinking of buying the Minelab CTX 3030? You’ve come to the right place! In this review, I take a deep look at the model’s features, performance and value for money - so you can decide whether it's the right choice for you. The Minelab CTX 3030 is a high-performance metal detector that’s rugged and designed for all-terrain use. It’s not cheap, but comes with a range of advanced features not found on most detectors. Examples include a wireless audio, superior target separation and built-in GPS. There’s also a color display and advanced FeCo discrimination, along with Minelab’s famous FBS multi-frequency technology. While the detector looks like a big upgrade on the E-Trac on paper, how does it perform in the field? And is it worth the high price? Let’s find out. Can I use the CTX 3030 at the beach? As you would expect from a premium metal detector, the CTX 3030 is a well-balanced device that’s durable and built to a high standard. It features an attractive grey and black color scheme, along with a matte finish on the stem. The stem itself has a minimum size of 37”. It can be extended to 55.3”, so there’s plenty of scope for adjustment depending on your height and preferences. Unlike many cheaper detectors, the CTX 3030 has a dedicated lithium-ion battery pack. This is rechargeable, so you’ll save money on new batteries, and the li-ion technology means it charges relatively quickly. It has a shorter run-time than other detectors though - especially if the Wi-Stream and GPS functions are active. This is to be expected considering the bright screen and fast processor, but it's something to keep in mind. Weight has been a major discussion point with the CTX 3030. There’s no denying it’s a heavy machine - 5.2 pounds with the lithium-ion battery pack - but it’s also a balanced detector. All the weight is in the control pack, so it feels comfortable to hold and easy to swing. The weight also feels evenly distributed along the arm. Still, if you’re looking for a lightweight metal detector, the CTX 3030 probably isn’t the right choice. I think it’s a little unfair to complain about the weight considering the amount of technology Minelab has packed into the device though - especially as it feels balanced when you hold it. It also doesn't feel clunky to hold. In fact, the wireless audio function provides much greater freedom than your average detector. It’s great to put down the detector without being attached - and once you’ve used wireless audio it’s difficult to go back. The detector is also waterproof down to a depth of 10 feet (similar to the Garrett AT Pro and Gold). While it’s not suitable for diving, it’s great for hunting in rivers, creeks or at the beach. Keep in mind that the standard headphones are not waterproof though - so don’t get them wet! One of the best things about the CTX 3030 is how easy it is to customize. You can set it up to suit your personal tastes and hunting style, as there are plenty of options and settings. A good example is the audio tone feature. There are several customizable tone profiles, ranging from a single tone up to 50 Co (conductive) tones. There are also four audio types, including normal, long, smooth and pitch hold. 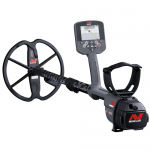 At its core, the Minelab CTX 3030 is a multi-frequency VLF detector that comes with an 11-inch DD search coil. Like the cheaper E-Trac, the CTX 3030 is built with Minelab’s FBS technology. This combines multiple frequencies between 1.5-100kHz, so you can find deeper targets more effectively. The combination of frequencies also helps the detector ignore mineralization and provide a more precise target ID. This feature alone gives the CTX 3030 a huge competitive advantage over many other detectors. When combined with the precise FeCo discrimination (more on that in a moment), color target ID and rapid digital signal processing, Minelab has raised the bar for coin and relic hunting. It’s also a much faster device than the Minelab E-Trac. There’s very little noticeable delay in Target ID either, which is a bonus compared to previous Minelab detectors. You should expect to read the manual a few times before you take it into the field though. 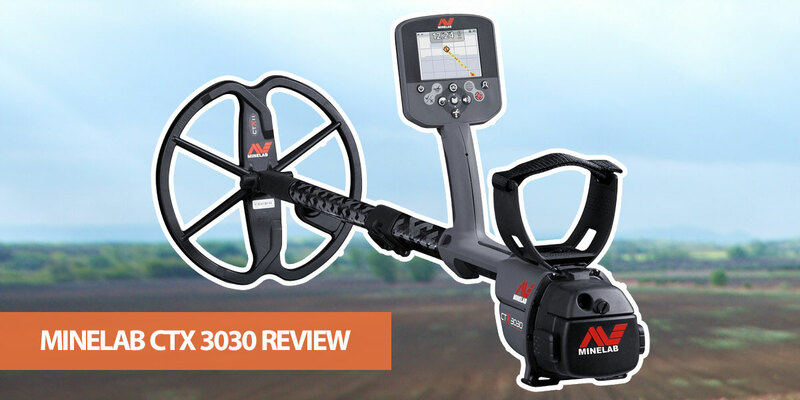 The CTX 3030 is built for experienced detectorists, so it’s easy to get overwhelmed by the huge range of customization options and settings. The extra effort will pay off though, as this is an outstanding machine once you’ve mastered its functions. There are five pre-set search modes included with the CTX 3030: Coins, Beach, Relics, Silver and High Trash. While these modes are great for beginners, they are also useful if you just want to get hunting quickly. Aside from the built-in modes, there’s also space for five custom programs. These are saved when you turn of the machine. As you know, discrimination is a detector’s ability to identify a metal target while ignoring undesirable trash. The better the discrimination, the less time you'll waste digging unwanted targets. That’s why Minelab has put a lot of effort into making the CTX 3030 one of the best models for discriminating bad targets. To achieve this, the detector analyses both the ferrous and conductive properties, while showing these on the LCD display. While the FeCo discrimination feature does a great job of classifying targets, it’s more complicated than the simple Accept/Reject discrimination pattern found on cheaper devices. It takes practice, but is a powerful setting when you understand how to use both the conductivity and ferrous properties to filter targets. To give you an example, the horizontal axis displays conductivity on a 1-50 scale. Targets with low conductivity, such as small alloy coins, fine jewelry and foil, display at the lower end of the axis, while highly conductive silver and copper coins are at the higher end. On the vertical axis, the target’s ferrous characteristics are shown on a 1-35 scale. Non-ferrous objects, such as pure metals, display at the top of the screen, while highly ferrous targets (such as nails) are shown at the bottom. When a target is detected, both its conductivity and ferrous characteristics determine where the object is displayed. You can quickly adjust the area of the graph that’s rejected and accepted, which provides precise control over the audio signals you hear. Of course, there’s also the pre-set search modes if you don’t want to mess around with the discrimination pattern manually. 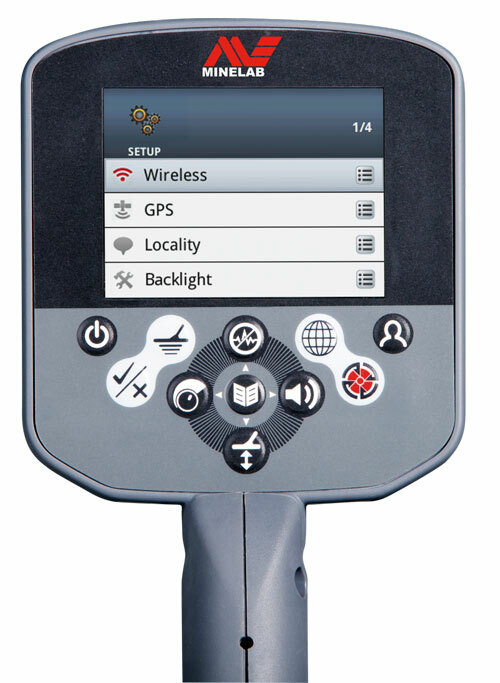 One of the more advanced features of the CTX 3030 is its built-in GPS. This can record where you’ve hunted and your find locations. When you get home, you can upload these data points to your PC for viewing on Google Maps (via Xchange 2). So, why is this such a useful feature? Firstly, it’s much easier to see potential hotspots or missed areas when viewing finds on a top-down map. These can also be marked as new WayPoints and uploaded back to your CTX 3030, so you can easily find them on your next hunt. When you’re out hunting, the GeoTrails feature shows where you’ve hunted, so you won’t accidentally miss areas. There’s also the option of using Minelab’s Xchange 2 application to add comments and photos to your hunts. It’s great to look back on previous sessions along with images of your finds and interesting locations. It's true that GPS and PC mapping isn't an essential feature, but it's a nice extra and can make your hunting more efficient. The Minelab provides a numerical target ID and depth indication on the Detect screen. There are both manual and automatic sensitivity modes. You can adjust sensitivity by using a Quick Menu. Along with sensitivity, you can also adjust the noise cancellation (to eliminate electromagnetic interference) and automatic ground balance. There are also two recovery options: fast and deep. The fast option provides quicker reactivity, but at the cost of target ID accuracy and discrimination. Deep provides better identification for deep targets but with a slower reaction time. The Target Trace feature displays an animation of the number detections per second. If there are multiple targets, this feature is useful for separation. There are a number of options for target separation (Low Trash, High Trash, Ferrous-Coin and Ground Coin). These are aimed at more advanced users, but provide greater control over how the detector reacts to closely separated targets. A pinpoint mode is included with the device for more accurate target location. The Minelab is built with a full-color LCD display. At first glance, this shows an overwhelming amount of information - especially for beginners. The GUI is well-designed and easy to use with some practice though. There are 11 buttons on the control panel, along with several “screens” depending on the current mode. There’s also a status bar showing which functions are currently active. The screen you’ll use most of the time is “Detect.” This shows the detector’s status, along with detection results such as Target ID, depth indication, Target Trace and Pinpoint. You can also use this screen to edit the graphical discrimination pattern. While the CTX 3030 has a relatively steep learning curve, this isn’t due to a poor user interface. There are simply a lot of options and settings, which can make it difficult for beginners. In fact, the screen itself makes it easy to access the advanced features without getting in your way. There are a number of quick menus for common features, such as sensitivity and ground balance. There’s also a “User” button which immediately activates your favorite settings. I’m also a fan of the color display. Most detectors don’t include this, but it provides greater contrast so you can easily see the most important information. The Minelab CTX 3030 metal detector is an expensive machine. There’s no getting around it. This is to be expected from an advanced model with features such as GPS and FBS technology though - and the CTX 3030 is clearly aimed at serious detectorists. So, the real question is whether it’s worth the money? I would argue that it’s worth it if you’re serious about treasure hunting. If you want to go for the occasional weekend hunt in your local park, you probably don’t need the advanced features (such as GPS) and could get great performance from a cheaper detector. If you hunt multiple times a week in a variety of conditions, then you’ll love the CTX 3030. As a bonus, Minelab provides excellent customer support. As I mentioned earlier, the CTX 3030 has set a new bar when it comes to relic and coin hunting. It provides excellent target ID, separation and sensitivity, so you’ll find more targets with greater accuracy. Whether you’re hunting on ploughed land, beaches, shallow water or pastures, the CTX 3030 provides great performance. What makes it stand out from other detectors in this price range though? The FBS technology provides excellent detection capabilities. By simultaneously firing 28 frequencies into the ground, the detector offers both excellent depth and small target detection. Like the XP DEUS, it’s worth using the CTX 3030 on previously hunted locations, as it’ll probably pick up targets other detectors miss. The depth and target separation are also excellent. It can even find targets that are hidden by iron nails. It also provides rapid response with no lag, near-instant target ID and almost unlimited customization. On the other hand, the CTX 3030 isn’t as accurate when identifying shallow objects. This isn’t a major issue, as the combination of audio and visual ID mean you can still get a good feel for what you’ve found. One of the most common questions I get asked about Minelab detectors is whether to go for the E-Trac or CTX 3030. It’s a good question. Both models are built with the company’s FBS technology (although the CTX has an upgraded version), come with an 11” DD coil and a relatively large backlit display. They are also both popular detectors that provide excellent sensitivity, depth and discrimination. There are some major differences between the two though. One of the most obvious is the price. The E-Trac is often available for around $900 less than the CTX, so it’s considerably cheaper. The older model is also lighter at 3.5lbs compared to 5.2lbs. That’s where the advantages of the E-Trac end though. The CTX 3030 is faster, provides better target separation and can search deeper. The CTX’s more powerful processor is better at processing incoming signals, so you’ll miss less targets and can cover ground faster. It’s also waterproof - the E-Trac only has a waterproof coil - and comes with built-in GPS. For these reasons, the CTX 3030 is the superior detector in almost all situations. It takes all the best bits from the E-trac, while improving the depth, speed, underwater treasure hunting abilities and target separation. The standard package comes with a set of KOSS UR30 headphones along with the DD search coil. There are other packages available with a variety of extra accessories though. Yes, the CTX 3030’s FBS technology makes it suitable for hunting on both wet and dry sand. The detector also has a Seawater function for hunting underwater in the sea. This maximizes sensitivity while reducing false signals caused by the highly conductive wet sand. It’s worth noting that Minelab recommends switching off ground balance at the beach. Where is the Detector On Sale? Minelab is an Australian company, so not all American retailers stock their models. The CTX 3030 is available from many online stores, however, including Amazon. A number of specialists also sell this model. As with all modern detectors, it's vital to avoid buying a counterfeit CTX 3030. If a deal looks too good to be true, it probably is! 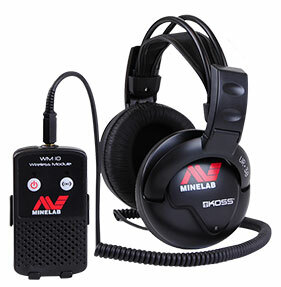 Yes, Minelab offers a 3-year warranty on the coil and control box for extra peace of mind. If you’re looking for a serious all-terrain metal detector for coin, relic and jewelry hunting, the Minelab CTX 3030 is an excellent choice. In fact, the Minelab CTX 3030 is arguably the best metal detector on the market at the moment. I rank the XP DEUS slightly higher on my list of the top metal detectors, mainly due to its lower price, but the CTX 3030 is still an outstanding detector. It’s also highly versatile. No detector is perfect though, and the CTX has a few drawbacks. The biggest drawback is its complexity. While you can just use the pre-set functions - and it does a great job hunting in these modes - you won’t get the most out of the machine. Be prepared to spend time reading the manual and watching instructional YouTube videos to truly understand what the CTX 3030 can do. I don’t recommend it for beginners, as you need experience to understand the various features. It’s also expensive. Many people simply won’t be able to afford the CTX 3030 - especially if you need extra search coils. Some people will also be put off by the weight, although it makes up for this with a well-balanced design. Even with these drawbacks, once you’ve mastered the CTX 3030’s features and can dial in the right settings, it’ll find treasure that other detectors miss. It’s also a joy to use, especially with the GPS tracking and wide range of adjustable features. If you can afford it, you won’t be disappointed by this excellent detector.